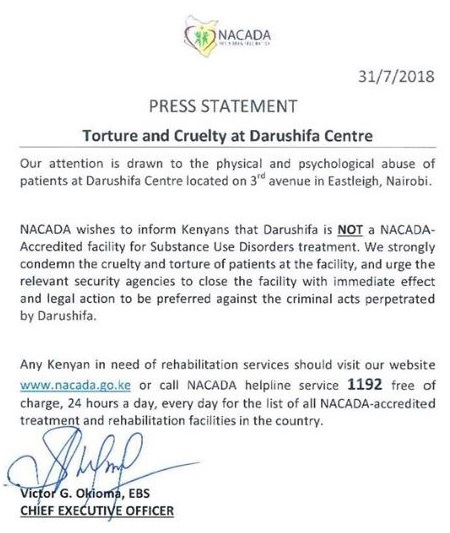 Wednesday, August 01, 2018 - The National Authority for the Campaign Against Drug Abuse (NACADA) has shut down the Darushifa Rehabilitation Centre in Nairobi’s Eastleigh after a damning BBC expose. The documentary dubbed Rehab Nightmare: Drugs, Chains, and Canes exposed how patients are tortured. The documentary by reporter Jamal Osman featured footage of the patients tortured, whipped and forced to drink a toxic liquid known as harmala. The graphic videos were taken by an employee at the rehab who decided to expose the inhumane conditions the patients are subjected to. Several women were recorded claiming that they were locked for leaving their husbands and walking away from their marriages. 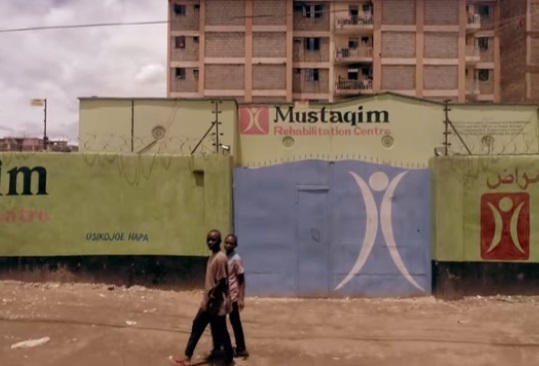 The institution has been closed immediately with NACADA saying it has been operating illegally.